Eli Goldratt said: Segment the market – don’t segment your resources! Goldratt wished to allow as much as possible market segmentation in order to price differently the same basic products, produced and delivered by the same group of resources. In order to do so successfully we need to understand every market segment very well and include in the package of product features and the service around it unique value for that particular segment. Airlines are great in exploiting the possibilities for different prices; from how long before the flight you purchase the ticket, through the different classes, whether you are allowed to change your flight and even when you like to sit in an exit row. The client uses inventory-turns as a formal measurement. We are responsible to significant amount of the client’s inventory, at least the inventory for which the decision maker we do business with is responsible for. Thus, we are able, using our logistics, to make a real impact on our client’s relevant inventory turns. We are considered by the client as a good supplier. While this characteristic depends a lot on us, we need to recognize that when this is not the case it’d be very difficult to change the perception of the client. Thus, we need to exclude from the segment definition clients who don’t trust us. This condition usually considers old clients. New clients might belong to the segment when we know they have heard good things about our company and products. The responsible person at the client is open enough to let’s manage our SKUs at his site. We might think of another segment, which might still get a lot of value, like when inventory turns are not used as a formal measurement, but the client struggles with their cash, or suffers a lot of from shortages. However, the selling process would be quite different, certainly without the emphasis on inventory-turns. My conclusions are that defining well the market segment(s) is absolutely critical to the choice of the DCE, and thus has a huge impact on the Strategy. How do we analyze our clients to construct the segment definition? I have often encountered the idea of constructing the CRT of our potential clients or the CRT of the whole market. I don’t really like the idea because of two points. First, I believe it is impossible to construct a CRT without the active participation of the organization. I’m also not sure whether the whole market has the same one core problem. Second, even if we succeed to identify the core problem then what is the probability that we are able to solve (evaporate the cloud) the core problem for our potential clients? What we can do is identify several key UDEs that our clients are aware of, which we could eliminate or reduce. Please, note the difference. We don’t try to connect all client UDEs. We just contribute value by reducing the negative impact of one or few UDEs. For our clients this is usually enough to prefer us on our competitors and by this gain a decisive competitive edge. How do we identify UDEs of our clients that we might be able to solve? By considering the environment of the client and taking into account some of the common flawed paradigms, we are able to speculate several possible negative results, which are the UDEs we look for. For instance, batching the transportation leads to overstock and shortages at the same time. When we speculate such an effect it is not difficult to validate that this is really the case. Offering low stock and very rare shortages hit directly at the pain, without having to fight with the paradigm of batching as a saving cost mechanism. As a consultant to various types of organizations I’m amazed how little consideration to proper market segmentation analysis is given. The core cause is probably the naïve belief that “our products are good for everyone.” Most small to medium size organizations do not have active marketing people. Larger organizations have marketing efforts that are mostly advertising. The key messages in advertising campaigns consider very gross definition of the target market, like “young people between 16 and 24”, but that’s it. I have not seen many clear definitions of the market segment per SKU category. In cosmetics you just find a little bit more awareness to specific segments. We should, as part of our TOC background, demand clearer analysis of the potential customers who would draw the most value of specific products. Certainly we need a clear definition of the segment for which our DCE is target to. A small example to discuss. Currently I use Windows 8 on my desktop computer. I get messages like “Your Free Upgrade to Windows 10”. It is nice to get value for free – BUT WHAT IS THE VALUE? Microsoft does not tell me. I don’t know whether the unique value is directed at software developers, people who practically spend their life in front of the PC, or elderly people who still use computers? Microsoft does not tell. Maybe they never thought about it. I do claim they should have. Even an operating system cannot yield a lot of value to everybody. Eli, thanks for one more help in becoming more effective in the practicing of ToC. It’s never too much in prompting us to see clearly the reality we’re looking at. I have a doubt about the first point you’ve made, a point which is pervasive in a less professionalized environment. Although I agree that a company who doesn’t measure an index will not pursue a product/solution which improve this index, we can’t ignore the fact that this index really explain an important part of the bottom-line result (and if not, we shouldn’t care about it, anyway). Being something that makes an impact on the bottom-line result (which is something any business relates to), we can always reinstate the effect of the product/service in another correlated measure that is just another form of getting to cause the same impact in the bottom-line as the inventory turns. But, is this another solution, or can I call it the same with other words? Dear Benjamin, I agree with you that the index called inventory-turns is usually very beneficial for distribution companies. For manufacturing companies the role of the raw materials inventory turns is not all that high, BUT, if they suffer from shortages then their damage is very high. Consultants could see the benefit of using certain measurements, or indexes, on the bottom line and rush to support their clients by leading them to recognize it. However, a supplier could find it very hard to “teach” his clients about the value of using inventory turns. So, in understanding the need he should use the recognized measurements of his clients to clarify the value of the offer. Understanding the client real needs is important, but most suppliers do not deliver managerial knowledge to their clients, and the clients do not recognize their suppliers as consultants to their business. So, the suppliers need to explain the direct value of their products and delivery in a manner is that is easily understood without being percieved as trying to teach the clients how to run their business. Eli, thanks for your insights of market segmentation. I still have a doubt though. 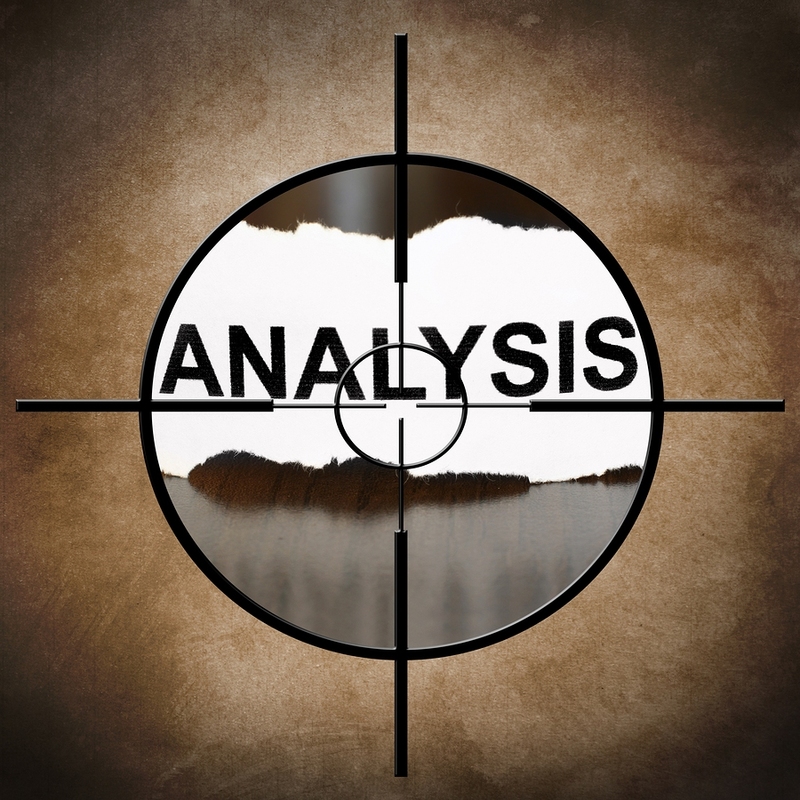 Is speculating really the way of getting the UDEs of potential clients? Maybe, we really don’t know the reallity of the clients. Could it be practical to poll the market segment before speculating on the UDEs? Would it be even more practical to arrange visits with clients and have long talks about their key issues? Probably speculating when you really know your clients is the best way, but what about does times when you don’t. This is a good question. We all need to tell ourselves that WE HAVE TO UNDERSTANT the UDEs of our clients. This is a major part of our business. How can we get to know the real needs, resulting from some UDEs, of our clients? To my mind the only way is to START WITH SPECULATION, and then visiting the client, or just talking with them and raising the issues you suspect they have and thus VALIDATE them, or invalidating them and also understand how come those UDEs are not active, which could lead to what are. 1. You are a supplier and the client does not think it is your business to know their troubles. 2. The client does not know YOUR business too well, and thus has a difficulty to see how can you help him with the UDEs in a way that won’t require huge costs. Maybe the problematic word “speculating” makes it difficult to see the need for it. Call it a hypothesis regarding the pain of the clients. Actually all science is based on hypotheses and then validation through experiments or other means. The truly main point: We have to understand the business of our clients! Using the TOC logic can help a lot – knowing many flawed business assumptions and understand flow, constraints and cause and effect.